Having a baby is one of the most amazing experiences in one’s life, albeit challenging at times. But what happens if you are blessed with not one, not two, not even three, but four adorable little ones at once? The chances of having quadruplets are pretty much as strong as the chances of winning the lottery: about 1 in 13 million. And this next couple knows all about luck, quadruple blessings and defying odds. When Tim met Bethani, their relationship followed the romantic movie classic path: falling in love, getting engaged and getting married. 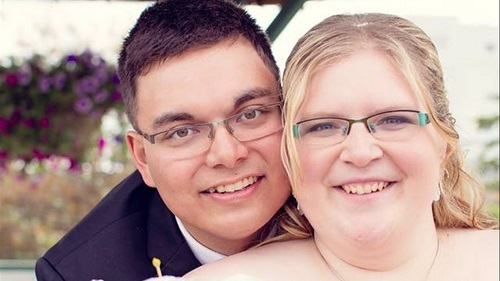 Back in 2015, Alberta, Canada couple Bethani and Tim started trying for a baby – and just a few months later, they got a positive pregnancy test result, followed by loads of excitement and happiness. But once they visited the doctor’s office for the first ultrasounds, their lives changed forever.